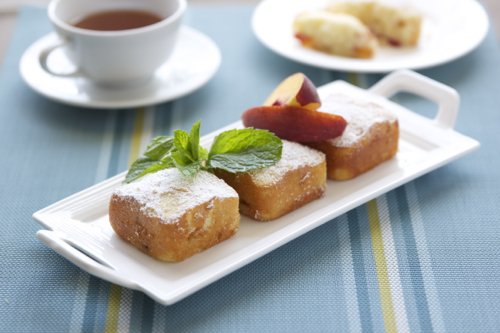 Peaches and Tea Cakes, what better way to impress your guests when they come over for tea or coffee with some homemade Peach Tea Cakes!! 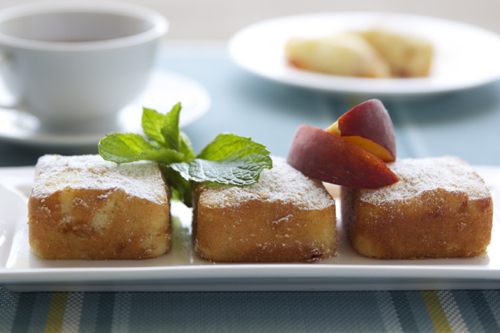 We are in the peak of summer and this is the best time for stone fruits such as peaches and nectarines! 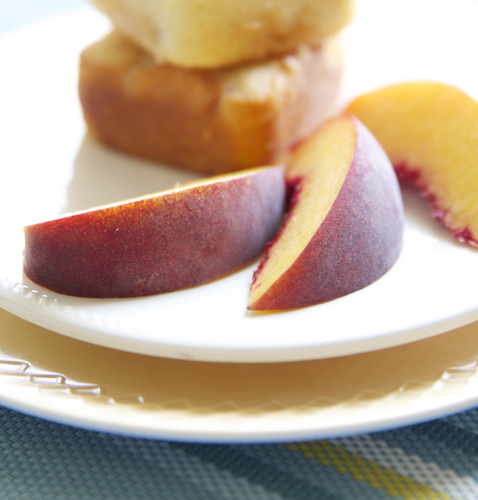 If you haven’t noticed yet at the grocery store, there are peaches and nectarines of all kinds everywhere! 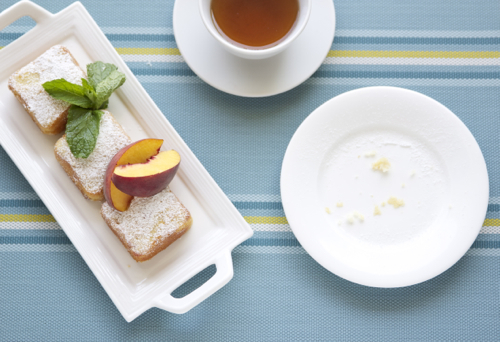 From white & yellow peaches to saturn peaches, just thinking about it makes my mouth water! Recently I stopped by at a bakery and picked up some of their delicious tea cakes. They had blue and raspberry tea cakes but no peaches! So, of course I had to come home and make some! 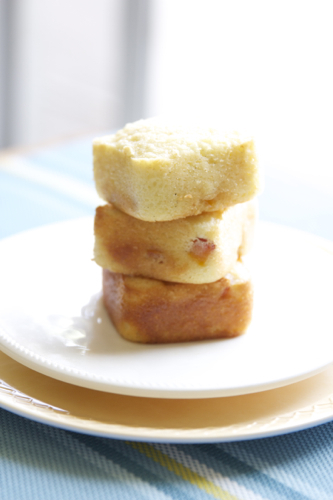 This recipe is so simple to make and you will be blown away at how moist this cake is! It is my favorite cake recipe! 2. Combine flour, baking powder and salt into a bowl. 3. Using a mixer or hand mixer, cream the butter and sugar for 3 minutes, scraping down sides as you go. 4. Add the vanilla beans or extract then eggs one at a time. 7. Divide batter evenly among your greased cupcake tin or tea cake tin. 8. Bake for 18-20 minutes or until a tester toothpick comes out clean. 9. 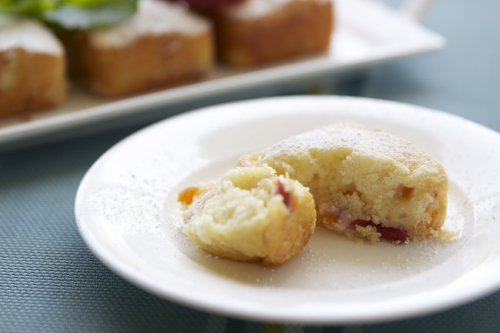 Allow cakes to fully cool then remove from tins. 10. 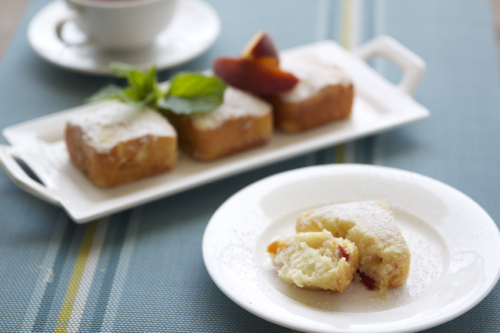 Dust with powdered sugar, add some whipped cream on top for an extra kick and serve. *Add some flour, then some sour cream, then flour, sour cream, repeat process until you have added all the ingredients.